An action comedy that juxtaposes an unfriendly slow-in-speech man [Ice Cube] with entertainingly funny but rapid-and-fast-speech person [Kevin Hart], Ride Along is a joy ride through and through. 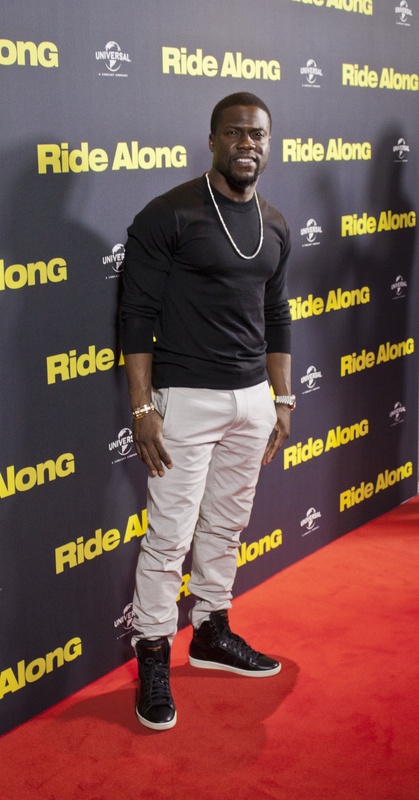 Don’t let the fact that Kevin Hart is a short statured fellow—yes, we met him at the red carpet premiere in Sydney on March 6th—get in your of under-estimating his comic timing and screen presence, for this kid from Philly in good enough to make his comic peers look short and insignificant. Imitating as though a bad-cop-good-cop duo, the pairing of these two leads provides enough laughloud material that rides out minor flaws of the film such as quality of visuals, strength of narrative or poor attention to characterization. 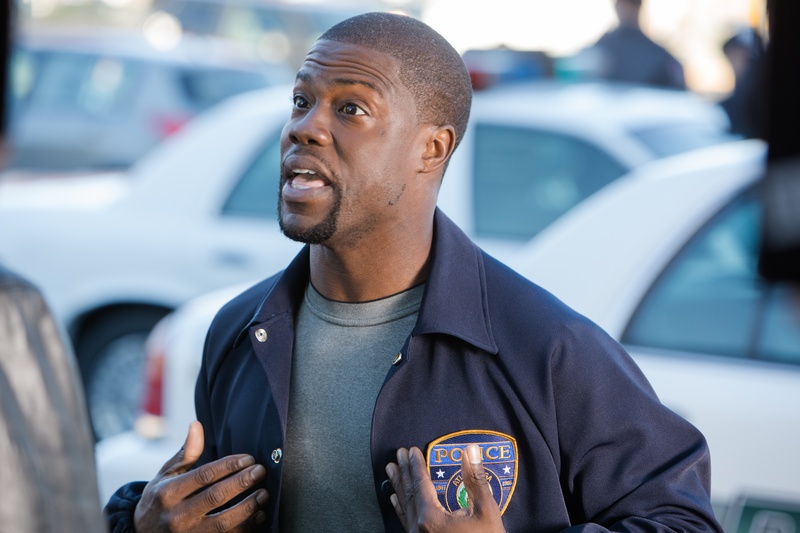 KEVIN HART as Ben Barber in Ride Along, the new film from the director and the producer of the blockbuster comedy Think Like a Man. Ben [Kevin Hart] loves Angela [Tika Sumpter]. To marry her, he makes a rash decision to ride along on duty with Angela’s brother James Paytor [Ice cube], a detective. During the 24 hour long ride, while James visualizes Ben’s demise, the latter goes out all comic to ingratiate himself with this surly brother-in-law to-be. Mission: to prove himself worthy of marrying James’s sis Angela. As the two patrol the Atlanta streets together during the day long ordeal, Ben finds himself awkwardly drawn into the net of solving a crime puzzle involving a notorious criminal. And long before the ‘joy’ ride ends, Ben, tongue-in-cheek solves a tough case that baffled the surly detective for years. Call it mindless or silly, loud or cheap, Ride Along is pure unadulterated fun that does not tax the brain, its one liners sprinkling fun all along the route. The red carpet picture: “Courtesy Jacqui Rothwell and Joseph R”. Hart’s performance tickles the funny bone, making this buddy cop action flick a not-to-miss entertainer. And if it is any help for the ‘brainy’ viewers, John Leguizamo and Laurence Fishburn are there to lend a helping hand to this fun riot. 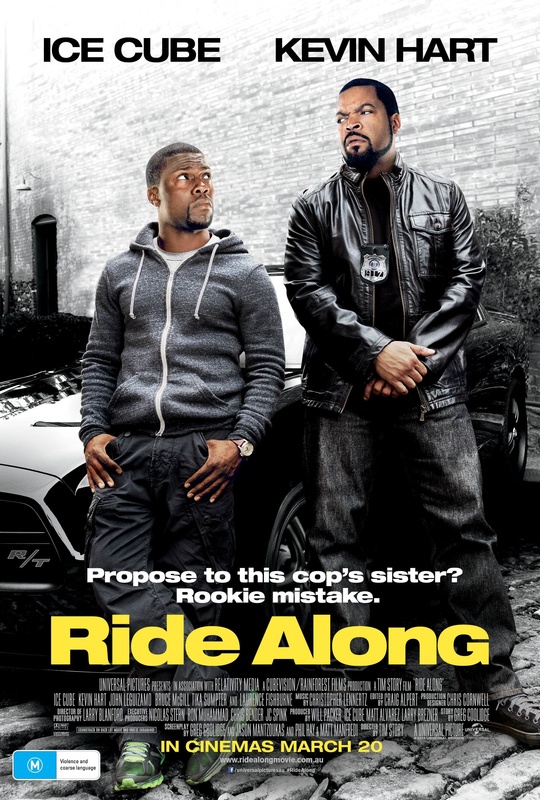 Ride Along releases in Australian Cinemas on March 20th.